I have more than 20 years experience in the development sector, with HIV/AIDS being a major work area. Before I decided to join the volunteering, I was working as a Manager-CSR in big corporate group and was heading the health vertical for the group. It was challenging and demanding job with extensive travel around. I was enjoying it, had been quiet successful in delivering the results. After working for 7 years starting with a workplace HIV Prevention program and ending with establishment of two Antiretroviral Centre for HIV positive patients in the remote areas. I wanted to do something different. I had applied to IVO first time in 2003, but due to family responsibilities could not pursue it further. In 2012, I felt that it is now time for me to do something which I wanted to do all along, felt that it is high time, instead of postponing any further I joined this wonderful journey. One year in Vanuatu has been like a dream come true, mainly because of its scenic beauty. Experience as a volunteer in the area of curriculum development has been wonderful. It gave me an opportunity to use and apply my skills and knowledge professionally and at the same time to introspect and evaluate myself as a person. The experience helped me in counting my blessings and being grateful to all who helped me in this journey so far. Working in new place developed my patience and tolerance and I learnt to live with basic amenities. For first time I felt that one doesn’t need all those clothes and variety of food to survive. It was little tough for vegetarian like me, as the concept of vegetarianism was little difficult for them to understand. Many times I was told to remove the egg/fish from the bowl and eat the other things!!!! I enjoyed my time initially learning the language, understanding the culture and making new friends. Culturally they were like our tribal people and backward in many ways. Country is very earthquake prone and has many live volcano’s. Throughout the year they face some natural calamity or the other cyclone, earth quake or a tsunami. All this had made them accepting the nature and adjusting with the environment. They had some wonderful things like making optimum use of natural resources, zero garbage on roads, very effective disaster management system. Being one of the most virgin and unexplored country it gave lot of opportunities for us to explore, and visit some of the beautiful resorts and islands. 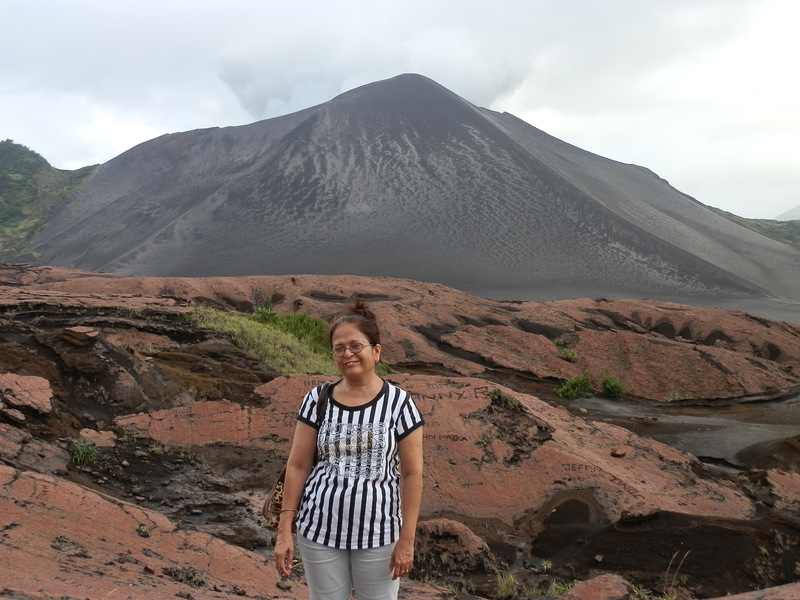 Travelling to the beautiful beaches and most exciting part of the travel was visiting the live volcano at Tanna and watching the land diving at Pentacoast. At a professional level learning about midwifery and nurse practitioner curriculum was very enriching experience. Using my knowledge and skills of counseling, in developing counseling module and pre testing the same gave immense satisfaction. At a personal level, I overcame with my fear of making new friends and getting adjusted to new environment. Teaching how to make roti’s (Indian bread) and other Indian cuisine gave me lot of satisfaction. Felt very happy when the same was reciprocated by the local team members, we accepted each others as we were, without trying to change. Made lot of friends for life, at the end I can only say that it was very enriching experience, and I feel I will redo it again soon! At the end I can only say that people all around are same Mostly Good with Few Exceptions…. Previous Post How a Marketing Professional used his expertise in making a different kind of Impact! Hiiieeee Lalita…. 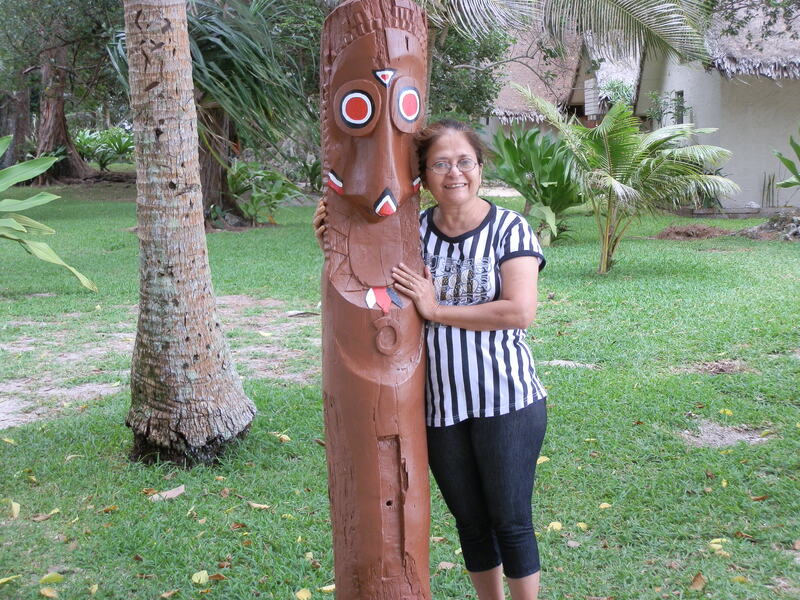 It was great working with you in Vanuatu… hope to meet you in other places.